What is Holistic Approach to Health and Living? We are taught to look at our body, mind, emotions and spirit as if each part is completely separate from the other rather than intertwined. This fragmented approach has lead us to look at health in a compartmentalized manner rather than as the management of whole. To adopt a holistic approach to living means to recognize that you have a mind, body, and soul, and each one of those ‘pieces’ is just as important as the other. In fact, the whole is the greatest part, but we must feed each aspect in order to thrive. 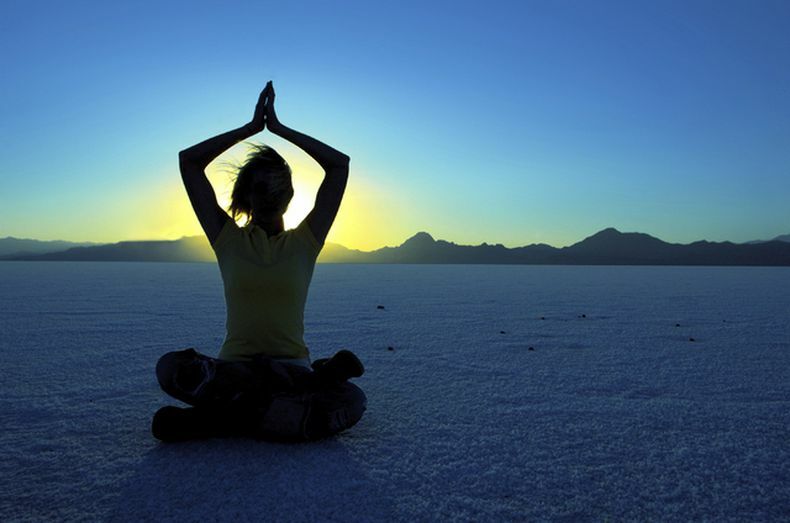 Holistic health takes into account the whole person – body, mind and soul. Each of us is a multifaceted being with complex physical, psychological and spiritual needs for achieving a state of whole health. Every individual has a physical, mental, emotional and spiritual body, and the well-being of each of these bodies is equally important. If one of these bodies is in disease, the health of all of them is affected. When all these aspects are balanced and integrated, we are in optimum holistic health. When we believe that our body is separate from our thoughts, emotions, energy fields and our spiritual selves, we fail to understand how our thoughts can affect our behaviour and ultimately our health. As we raise our awareness about the workings of our emotions, we realize how repressed emotions can create serious illness in our bodies. Is Environment influential in Holistic Perspective? A holistic perspective also includes environmental influences that contribute to our health – social, economical, political and educational. Holistic living is the art of living not just in balance with ourselves and but also with our environment. Understanding and honouring that all things are interconnected is at the heart of a holistic approach. It is about taking responsibility for our thinking and behavioural choices that these choices have consequences for all living things on the planet. Is Health different from Fitness? Health is a metabolic state where the mind and body function at peak efficiency. Health is the state in which all systems of the body – nervous, muscular, skeletal, circulatory, digestive, emphatic, hormonal are working optimally. Health is more than just the lack of disease, injury or pain; health is aliveness, energy and joy. By always focusing on eliminating disease, few of us learn how to improve our well-being. How you take care of your body or fail to take care of it, can make an enormous difference to the quality of your life. If you want to stay healthy for life, you need to take care of yourself. Fitness is the physical ability to perform athletic activities. Our goal is to become HEALTHY and not just FIT. Does Holistic perspective apply to energy management? Human beings are complex energy systems. The energy that pulses through us is physical, emotional, mental, and spiritual. All four dimensions are critical, none is sufficient by itself and each profoundly influences the others. To perform at your best, you must skilfully manage each of these interconnected dimensions. If any one of them functions below par, your capacity to fully ignite your talent gets diminished. With lack of the right quantity (physical energy), quality (emotional fitness), focus (mental strength) and force (spiritual vitality), you are compromised in any activity you undertake. Every thought, feeling, word and action has an energy consequence. It requires more energy to become negative than to be positive. Every task left unfinished results in leakage of energy. If you are aware of the sources of energy such as eating nutritious food, exercising, deep breathing, sleeping/rest, doing prayer, meditation, gaining knowledge, the people and things you love, you can refill your energy bank on a consistent basis. How does Holistic approach benefit you? Holistic living offers a way to balance your life in all areas -- health, relationships, spirituality, work and finances -- to achieve a happier, healthier, and more fulfilling life. More freedom, better relationships, financial security, a healthier body, more peace of mind and a spiritual connection to the world are just some of the benefits of holistic living. Whereas traditional allopathic health programs tend to focus on the symptoms of the condition, holistic health address the reason why the symptom is appearing. Instead of medicating a condition to get rid of it, a holistic practitioner will assess what needs to be physically or psychologically altered within your lifestyle to naturally improve your life. When you practice holistic living, you may discover many of your health challenges are resolved intuitively. Another holistic health axiom is prevention. Holistic living asks you to create lifestyles that enhance well-being for its own sake. You do not need to be in health crisis to make daily efforts to improve your health. As a holistic oriented person, you can create a daily life of exercising and eating well to nourish your body, meditating to maintain emotional, mental and spiritual balance; and working and living in environmental and social conditions that support you in maintaining a positive attitude about life. Can you establish some daily rituals for Holistic Living? Success, world-class fitness, deep fulfillment and sustained happiness don't just happen. The best way to create spectacular results in the most important areas of your life is by creating a personal development plan grounded in positive rituals. A positive ritual is nothing but a carefully designed, highly structured, specific behaviour that becomes automatic over time. Will and discipline are far more limited resources than most of us realize. In contrast to will and discipline, that require pushing yourself to a particular behaviour, a ritual pulls you to follow through. We are all exposed to storms throughout our lives. The bigger the storm, the more inclined we are, to revert to our survival habits, and the more important positive rituals become. You need to build rituals in increments, focusing on one significant change at a time, and setting reachable goals at each step of the process. Create your series of practices and determine to follow them consistently. And set yourself to make each day a great day of your life. Preeti Subberwal is the Founding Director of Thoughtful Engagement, a firm that facilitates quick and sustainable positive change and transformation in individuals and organizations through powerful and innovative programs. As a Transformational Coach and a Facilitator, she is passionately committed to deliver personal and professional development workshops, seminars and coaching programs that empower the participants to attain their next level of success, fulfillment and self-mastery. She has honed her skills for over a decade in conducting self-development, sales and leadership workshops, coaching and counselling, programs planning and evaluation, content development and project management, process management, people management, and software development. Preeti Subberwal is a Certified Master Spirit Life Coach, Certified Life Coach, Licensed NLP Master Practitioner and Theta Healing Practitioner. Also has been trained in Emotional Freedom Technique, Ericksonian Hypnosis and Reiki. She even utilizes her knowledge of Neuro-semantics, Positive Psychology and Cognitive Behavioral Therapy as a part of her toolkit. Grow Up Boys! Holi Celebrations Don’t Need To Be An Unholy Mess.